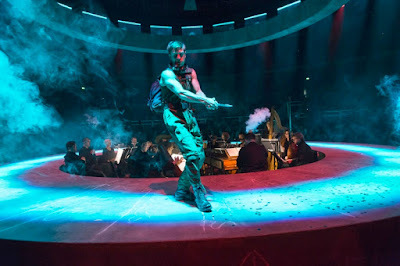 Following on from its successful performances of Monteverdi's L'Orfeo at the Roundhouse in 2015, the Royal Opera has returned to the circular performing space with further Monteverdi, this time Il ritorno d'Ulisse in patria (The return of Ulysses), directed by John Fulljames, with Roderick Williams as Ulysses and Human Frailty and Christine Rice as Penelope. We caught the third performance of the run, on Saturday 13 January 2018. Unfortunately Christine Rice was ill, and not able to sing, so Caitlin Hulcup had stood in at a weeks notice, she sang the part from the pit with Rice acting the role. The remaining cast consisted of David Shipley (Antinous and Time), Catherine Carby (Fortune and Minerva), Samuel Boden (Telemachus), Susan Bickley (Eurycleia), Francesca Chiejina (Melantho), Mark Milhofer (Eumaeus), Stuart Jackson (Irus), Nick Pritchard (Amphinomus), Tai Oney (Peisander), Andrew Tortise (Eurymachus), with the Return of Ulysses Community Ensemble which consisted of 40 singers drawn from the Royal Opera House, Thurrock Community Chorus and from the Roundhouse youth programmes. Christian Curnyn conducted the orchestra of the Early Opera Company. Set designs were by Hyemi Shin, costumes by Kimie Nakano, lighting by Paule Constable, movement by Maxine Braham and the sound design was by Ian Dearden for Sound Intermedia. The opera was sung in Christopher Cowell's English translation. Il ritorno d'Ulisse in patria is a far different work than L'Orfeo. 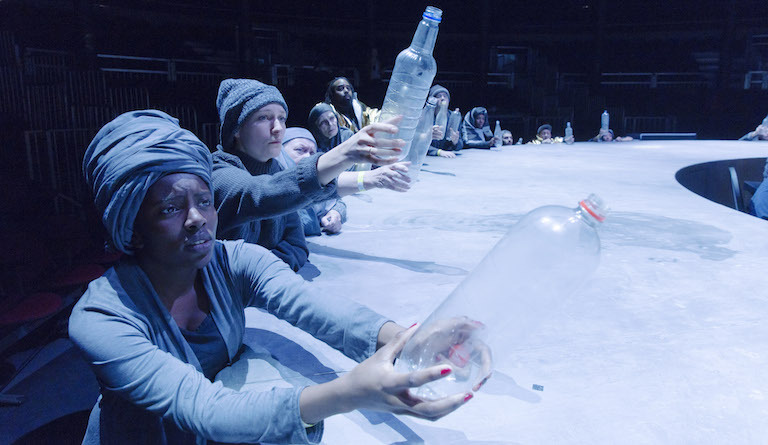 Written for the newly created public theatre in Venice, Ulysses is a less grand, more concentrated work. It uses smaller performing forces, and is more diverse in its mix of short scenes of both comedy and tragedy. 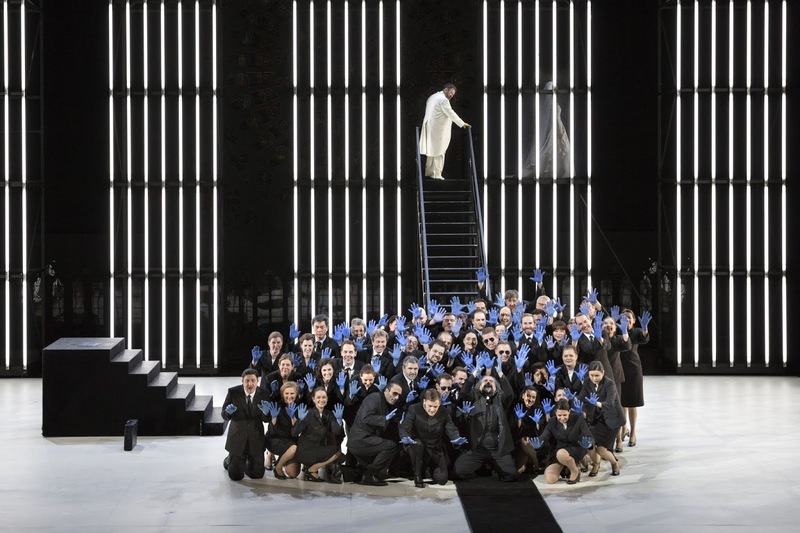 L'Orfeo, written to celebrate a wedding in Mantua, has a grandness about it which means the expanding the work to fit far larger venues than the original seems quite natural. This is trickier with Ulysses. 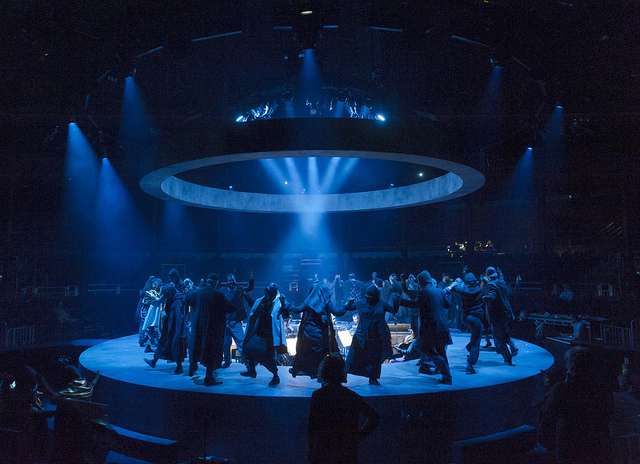 Fulljames and his team took their cue from the democratic nature of the Roundhouse space, and decided to set the opera in the round with the orchestra at the centre, and the acting space on a torus round the orchestra. The simple but elegant set design was completed with a circular suspended ring on which surtitles were projected. No-one had a perfect view all the time, but the action moved and the results were immediate and engaging. 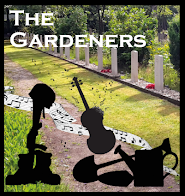 In an introductory speech, Roderick Williams joked that the performers were close enough to the audience that, if a phone went of, one of them would be able to come and take it off the owner! A slight curiosity was the the orchestra slowly rotated, and that the acting torus rotated in the opposite direction though this was done subtly and I noticed that Penelope's scenes did not rotate and indication of the stasis of her existence. Costumes were loosely modern, but quite classic and in neutral tones, with just the odd piece of armour and a real bow. When Minerva (Catherine Carby) flies Telemachus (Samuel Boden) in, they appeared on a tandem which Carby was pedalling, and circled the torus furiously. Though it was something of a curiosity to have Eumaeus' sheep represented by white balloons, but the popping of these throughout the opera was very effective. 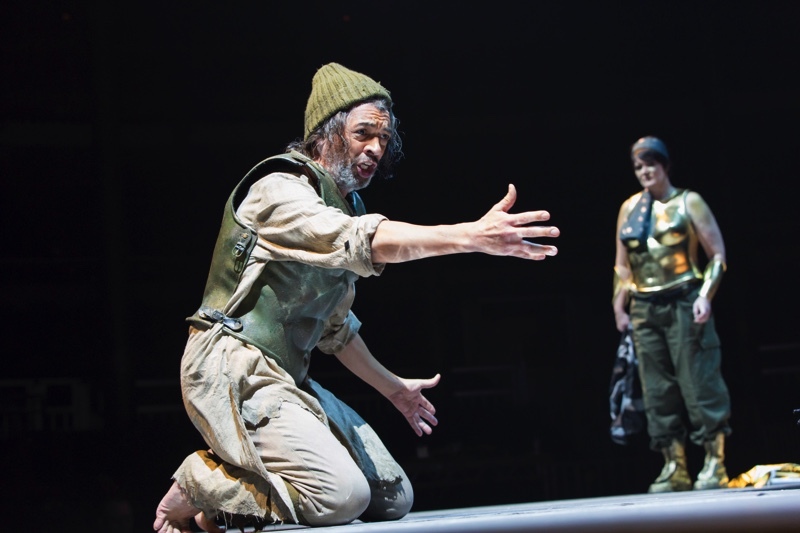 A big theme of the production was the idea of exile and refugees, with Fulljames seeing Ulysses, Telemachus, the suitors and their ensemble as all casualties of the horrors of war. So that the suitors were accompanied by a large band of fellow refugees, come to rest on Ithaca (the community ensemble), and we saw Penelope (Christine Rice), Eurycleia (Susan Bickley) and Melantho (Francesca Chiejina) feeding them. The tone of the production, for all the visual felicities, was serious without being preachy and even the scenes with Stuart Jackson's grossly fat Irus had an edge to them. The ending gave cause for hope without being a relapse into an unlikely lieto fine. I have to confess that I missed the intimacy of smaller performance venues, such as the production last year at the Grange Festival [see my review], but Fulljames managed the amazing feat of inflating the piece without destroying it. That Penelope was sung by Caitlin Hulcup and acted by Christine Rice almost certainly affected our perceptions of the production. 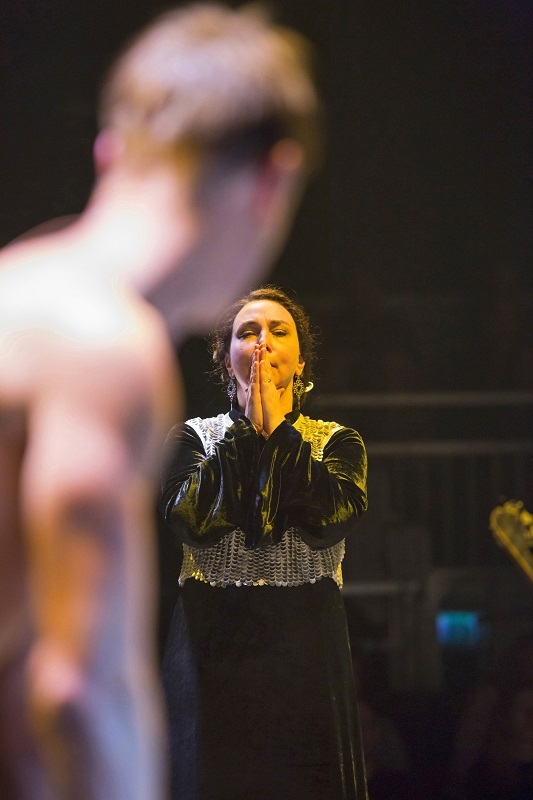 Whilst Hulcup gave an astonishing performance (and I do hope that we get to hear and see her properly in the role some time), and the coordination with Rice was remarkable, it wasn't quite the same as having a single person in the role. That said, the two performers developed Penelope as a serious and intense figure, one with whom we could sympathise and Hulcup's account of the opening arioso and other such moments had an intensity and powerful sombreness to them and Rice managed the tricky feat of seeming to radiate these grave emotions and fill the auditorium. 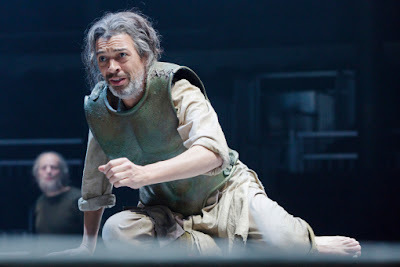 In contrast, Roderick Williams was a powerfully engaging figure as Ulysses, yet one who was as clearly damaged by his war experiences as the rest of the characters. Williams effortlessly filled the auditorium too, as ever with this performer there was an engaging side to his persona which helped, the crafty Ulysses of The Iliad was not far away. As Telemachus, Samuel Boden both looked and sounded good, his flexibly tenor voice exactly suiting the role, and his well-put-together torso (bare) clearly hinting at the character's military training. Boden's Telemachus was also clearly damaged, and never seemed to quite recover. The servant characters are all relatively small roles, yet important, and each gets his or her scene or two. Susan Bickley brought immense dignity to Eurycleia making us care for her when she worries who will care for her, and eliciting sympathy in the scene at the end when she tries to decide to break her vow to Ulysses, and reveal she has seen a scar which proves who he is. Francesca Chiejina and Andrew Tortise delighted as Melantho and Eurymachus in their love scene, all lightness and charm, which made us understand their subsequent scheming, both are desperate to marry. Mark Milhofer as Eumaeus, the first character to recognise the returned Ulysses, brought out a liveliness in the character which I have not encountered before. The suitors were sympathetically depicted, rather than painting them virulently, and it helped that Nick Pritchard, Tai Oney and David Shipley each managed to craft a distinctive and very engaged persona, each's wooing aria was moving in its own way. The famous scene with the bow was well done, and the right amount of dramatic tension created. Wearing padding which made him look suitably gross, and in tight fitting underwear which showed off this grossness, and 'tattooed' with images of food, Stuart Jackson was a wonderfully nasty Irus. We had the scene were he kills Eumaeus's sheep, showing a nasty edge, and at the end his suicide was rather disturbing. The role of the gods was cut from the opera, apart from Minerva (Catherine Carby) who is instrumental in the proceedings. Wearing a gilded breast-plate Carby looked very striking and created a Minerva full of personality. Christian Curnyn directed from the keyboard with aplomb, ensuring that the logistics of his awkward performing space did not impede the flow of the music. The continuo group was somewhat boosted from what Monteverdi would perhaps have expected, but it formed a rich and colourful base for the extended recitative. 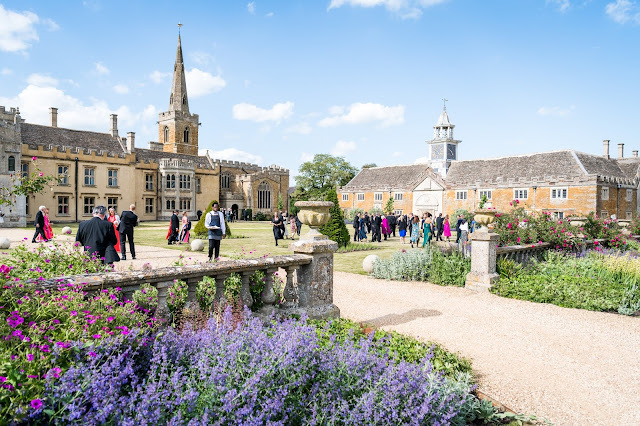 Curnyn and the cast had obviously worked on the poetics of the recitative, and there is a lot of it, so that Cowell's translation flowed rather well and the music was nicely pacey, keeping the dramatic flow. The sound design was admirable and effective, though not perfect, and there were occasional moments when things were occluded or where the directionality failed, but overall it impressive in a tricky space. 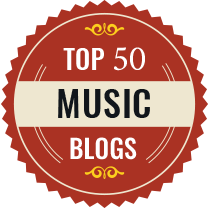 This was an amazing achievement from all concerned. The Return of Ulysses is a long opera (we had around two hours 25 minutes of music) and the performance engaged from begining to end. The seriousness and intensity of John Fulljames conception did not impede engagement, and the drama filled the Roundhouse in a remarkable way, with minimal damage to the Monteverdi's original conception.